A supercomputer installed in a chapel in Barcelona, Spain? 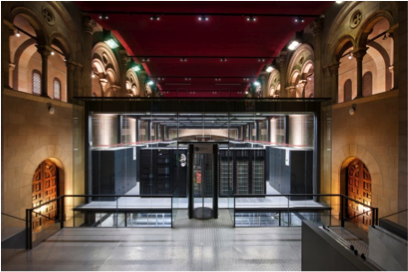 The Barcelona Supercomputing Center (BSC) is Spain’s national supercomputing facility, specialized in High Performance Computing (HPC). Its mission is to provide infrastructure and supercomputing services to Spanish and European scientists and to generate knowledge and technology to transfer to business and society. It hosts the supercomputer MareNostrum, which is unique as it’s installed in the chapel Torre Girona. It offers a variety of HPC education and training courses, as well as the one of the PRACE training centers. BSC is also one of the centres to participate in the PRACE Summer of HPC programme. Who said that supercomputers and HPC cannot be great fun? During this summer, BSC welcomes two European Computer Science students from Slovenia and Slovakia. While both enjoy the Mediterranean sun and healthy food in the city of Barcelona, they will also have the possibility to deepen their knowledge in HPC during a two month stay in July and August. In order to do this, they will start their stay with the attendance to the PUMPS summer school 2013, and enrich their skills with cutting-edge techniques and hands-on labs developing applications for many-core processors with massively parallel computing resources (like GPU accelerators). Furthermore, they will also be in close contact with BSC staff from different departments such as Computer Science, Life Sciences, Earth Sciences and Computer Applications in Science and Engineering. 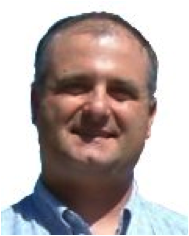 Who is behind the Summer of HPC at BSC? Let us introduce you to some members of the BSC staff involved in the Summer of HPC programme. In total, we will count with two project mentors and one site coordinator, as well as the support of some members of the Administrative, Human Resources and Finance areas. He is also associated researcher at the IMPACT Research Group at the University of Illinois at Urbana-Champaign. In the Summer of HPC, he is mentoring of the project “Parallelization of Facial Attribute Classifiers”. Programming models for complex platforms (from multicore to the Grid/Cloud). She has published more than 120 papers in international conferences and journals in the topics of her research. 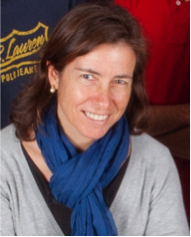 She has participated in several European projects and currently she is currently participating in projects TERAFLUX, OPTIMIS, EUBrazil OpenBio, ScalaLife, TransPlant and EESI2, contributing to the Intel-BSC Exascale lab and it is a member of HiPEAC2 NoE. In the Summer of HPC, she is mentoring the project “Task based parallelization using a top-down approach”. Renata Giménez Binder has more than ten years of experience in International Marketing and Communication. Her experience includes managing European Marketing projects and campaigns at Cambridge University Press as well as at Deutsche Bank. She joined BSC in June 2005 as Marketing and Communication Executive, managing the corporate image, PR and events of the center. She has also has been involved in European projects since 2008 (DEISA, PRACE, EESI, HPC-Europa, Mont-Blanc). She has a Master’s Degree in Marketing Management from the Universitat Pompeu Fabra. 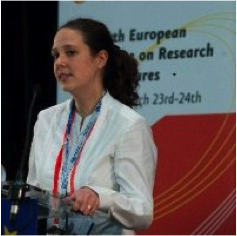 In the Summer of HPC, she is the site coordinator who addresses all administrative issues at BSC, as well as is involved in the press, web and outreach tasks of the Dissemination work package of the PRACE project. 3 Pings/Trackbacks for "Spain – BSC"